Silversea Cruises has launched a Partner for Success campaign and sweepstakes to help travel agents increase sales and have a chance to win a new 2014 Mercedes-Benz C250W sedan – while their clients have a chance to win a luxurious cruise. According to Silversea, for every deposited booking that U.S. and Canadian (excluding Québec) travel agents make between April 1 and December 31, 2013 for a 2013 cruise, they will be eligible to enter into a drawing for the car – plus their clients (who are booked with a deposit on a 2013 cruise during that period) will be eligible to enter for a chance to win a seven-day Silversea cruise in 2014. 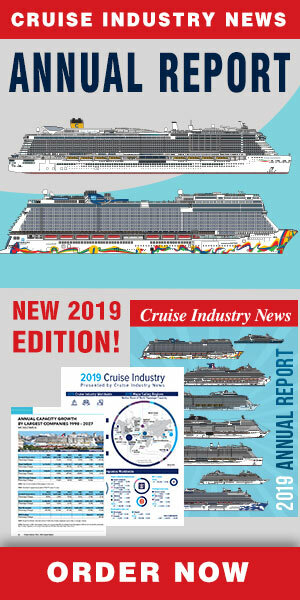 The more deposited bookings (for a 2013 cruise) that travel agents make between April 1 and December 31, 2013, the more times they can enter the sweepstakes. And when agents sell a Silver Suite or higher category, they are entered into the drawing twice. The campaign, which is rolling out in a multifaceted marketing initiative targeting agents, showcases the variety of programs available to drive business for travel agents, including Silversea's simplified Silver Privilege fares, Fare Guarantee Program, toughened anti-rebating policy and Travel Agent University. "In an effort to renew our commitment to the travel agent community, we've implemented several key initiatives designed to help agents reap the benefits of selling luxury cruises," said Ellen Bettridge, Silversea's president of the Americas. "As a former travel advisor, I know it's a challenge to keep up with all the information that's out there. To make it easier for agents to remember and understand each of these programs, we've tied all the programs together under the Partner for Success banner, and added a fun incentive with the sweepstakes." Paired with the new campaign is an April sales blitz targeting travel agencies based in and around the following Canadian and U.S. cities: Toronto, Vancouver, Washington, D.C., Boston, Seattle, and Portland, with Silversea's sales team visiting more than 360 agencies.